A win times two! 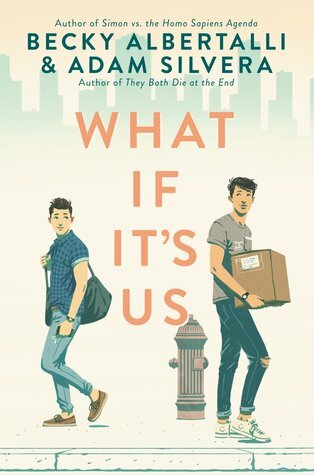 I love the cover of What If It’s Us – makes me want to read it! I really love the cover too! It really gives a sense of the adorableness of the story. I hope you check it out! Highly recommended! Gentleman’s Guide is such fun — my only regret is that I didn’t re-read it before starting the sequel. Didn’t stop me from enjoying the Lady’s Guide, but it would have been fun to read them both in a row. I really hope there are more Lady’s Guide / Gentleman’s Guide books in the future. I loved them. I still need to read What If It’s Us. I’m not a huge romance fan, but I want to support the authors. They’re both nice people. Great reviews! Thanks! I hope there’s more Lady’s/Gentleman’s too — I really like the world and the characters, and want to know what life has in store for them. 🙂 Have you met the authors of What If It’s Us? Thanks so much for this thorough review, it made me want to re-read it even though it came out so recently! 🙂 I totally agree, Becky Albertalli and Adam Silvera co-writing a book was one of the best things to come out of 2018 in YA fiction. 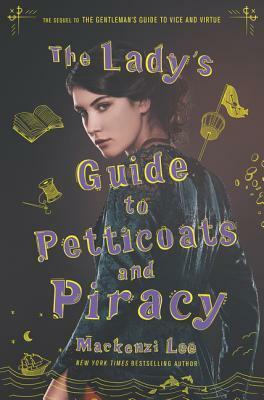 And the Lady’s Guide was an awesome follow-up to Gentleman’s Guide last year. Out of curiosity, do you read a lot of queer YA? Any recommendations? I’ve been reading less YA overall these past couple of years — but in terms of queer YA, I love David Levithan’s books, and really liked Openly Straight by Bill Konigsberg too. Robin Talley is another great author for LBGTQ YA fiction.